A first-half strike from Marcus Rashford sealed all three points for United who climbed above Arsenal to 5th in the Premier League. Ole Gunnar Solskjær’s unbeaten start to life at the helm at Manchester United continues as the Red Devils prevailed over Leicester City at the King Power Stadium. 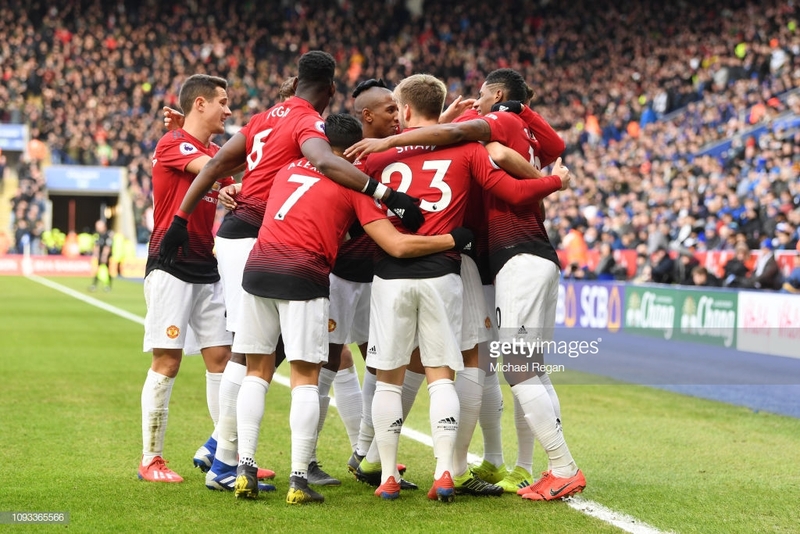 The game was decided by Marcus Rashford’s driven finish in the opening 10 minutes, though the Foxes proved a difficult test for United who had to knuckle down — particularly in the second-half — to ensure their slender lead remained intact. Following this result, United climb above Arsenal to 5th, just two points below the Champions League spots. Meanwhile, Leicester remain in 11th, six points behind Wolverhampton Wanderers in the final Europa League place. United kicked off the tie knowing nothing but a win would suffice in their bid for a place in the top four — Chelsea thrashed Huddersfield Town yesterday, handing the gauntlet over to the Manchester outfit to get a result. The first chance of the game fell for the home side. Eric Bailly hoofed the ball out of play behind his own goal, and the subsequent corner from James Maddison met the head of Wilfried Ndidi, though the Nigerian could only head wide. Just two minutes later, United fashioned a chance of their own. Luke Shaw crossed from deep and picked out Rashford a mere two yards from goal, but Kasper Schmeichel was left untroubled by the forward’s headed effort. It wouldn’t take long for the Englishman to redeem his missed opportunity. Solskjær had United playing with a breathtaking culmination of intensity and flair. Paul Pogba orchestrated the play with his passing and dribbling capabilities. They were flexible in formation, especially in forward areas — it seemed as if any of the designated attackers Rashford, Alexis Sanchez and Jesse Lingard could be deployed in the striker position at any given moment. With barely 10 minutes played, a stray pass from Ricardo Pereira gifted possession to Pogba in midfield. The Frenchman took one touch to set himself and used his second to lift a delightfully weighted pass over the Leicester defence, landing immaculately at Rashford’s feet. The 21-year old produced a deft finish past Schmeichel — the 10th strike in his most prolific goalscoring season to date. Rashford’s goal marked the anguish that Leicester have suffered in the opening stages of matches in 2018/19. The Foxes have conceded 11 goals in the first 15 minutes of games this season, more than any other side in England’s top-flight. However, five minutes after the opener, Leicester fashioned a chance to even the scores. Neat interplay was intercepted by the United defence who failed to clear their lines. The ball dropped kindly for Maddison on the edge of the area, but his shot was blocked by Shaw. Maddison — the liveliest in blue on the pitch — was involved again when he dropped his shoulder to make room for a left-footed shot. It proved an easy save for David De Gea, his first call to action of the afternoon. Leicester piled on the pressure in the closing stages of the first-half but failed to break their duck. A Maddison corner was dealt with poorly by United’s defence, and Nampalys Mendy collected the ball on the edge of the box before teeing up winger Harvey Barnes, whose curling effort flashed agonisingly wide of the far post. There was also one more chance for United before the break. Mendy took a heavy touch in his own half and Ander Herrera flicked the ball to Rashford, but the Englishman’s powerful effort was expertly saved by Schmeichel. Not long after the restart, Barnes and Maddison played a one-two in the United area, opening up space for the former to lash a shot at goal, an outstretched arm from De Gea preventing the ball from reaching its target. The game lacked intensity at the beginning of the second-half. United sensed Leicester’s potential to hurt them and subsequently spent more effort on trying to thwart the onslaught, which in turn hindered the away side’s attacking proceedings. On the hour mark, Jamie Vardy drew a foul from Nemanja Matic. Maddison stepped up to take the free-kick kick but fired straight into the wall — suddenly, the ball dropped for Vardy who attempted a bicycle kick, however the save was a routine one for De Gea. Leicester continued to apply long periods of pressure on the United defence and came agonisingly close to equalising. First, Barnes found space on the edge of the area and took aim at the far corner, firing just wide. Maddison’s replacement, Rachid Ghezzal, then stepped up for a free-kick from 25 yards out, forcing a spectacular save from De Gea who leapt across the face of his goal to parry the ball over the bar. With less than 10 minutes remaining, another set-piece was floated in for Harry Maguire at the back post. The England international headed down for centre-back partner Jonny Evans, whose swinging left foot failed to gain significant connection on the ball. United substitute Romelu Lukaku took aim from 20 yards and whipped an effort towards Schmeichel’s near post — the Dane parried the ball away and Leicester initiated a counter-attack. Barnes stormed down the left and teed up Vardy who could only fire straight at De Gea. It was end-to-end football in the closing stages at the King Power. A United break gave Anthony Martial a good chance to kill the game off before, in the last minute of stoppage time, a half-volley from Maguire trickled wide of the post. That was Leicester’s final chance, and United saw out the closing seconds comfortably. A legend at United for his illustrious playing career with the club, Solskjær won’t be far from re-earning that status as a manager after his incredible start to life as interim manager following Jose Mourinho’s departure in December. The Norwegian has now won seven out of his first eight matches in charge, only failing to beat Burnley in midweek. However, with a tough run of fixtures approaching — including league encounters with Chelsea and Liverpool and a Champions League tie with Paris Saint-Germain — the true extent of Solskjær’s revival could well be revealed. The fairytale story continues at Old Trafford as Solksjær produces yet another impressive win. The players look revitalised, and the fans sound it — the misery of Mourinho’s reign seems an awfully long time ago now. This was far from a simple victory for United. Under the often unpopular Claude Puel, Leicester are a side whose preference goes against having the majority of the ball. With pace in their ranks, the Foxes can be deadly on the counter-attack, their attacking line spearheaded by Vardy and supplied well by Maddison and the wide players. As such, their gameplan is well structured for when the elite come to town. The Foxes earned a shock 1-1 draw at Anfield in midweek, and gave the reinvigorated United a stern test here. They will still see European football as a realistic target for next season, though the six point gap to Wolves in 7th doesn’t read well for the 2015/16 Premier League champions. 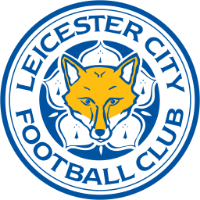 Leicester travel to Wembley to face an in-form Tottenham Hotspur side, while United also visit the capital as they lock horns with Fulham at Craven Cottage.